I reminisce on the Christmases of my childhood quite often. It’s a little corner of my mind that feels so warm and beautiful. I love revisiting those special memories. Whenever I think of Christmas Eve, I see one of my mom’s old plates covered in a pyramid of her homemade fudge. 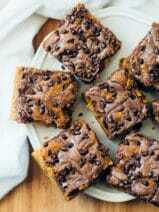 Fudge was a staple at our holiday gatherings and few desserts signal the season like that particular chocolatey treat. 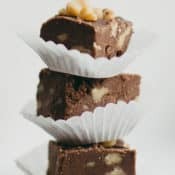 Because I like to keep things as uncomplicated as possible, I was overjoyed when I found these incredibly simple but decadent holiday fudge bites at JELL-O’s website. I didn’t have the holiday sprinkles on hand, but I did have some walnuts, so I changed-up the recipe a bit and made my own version—chocolate walnut fudge bites. 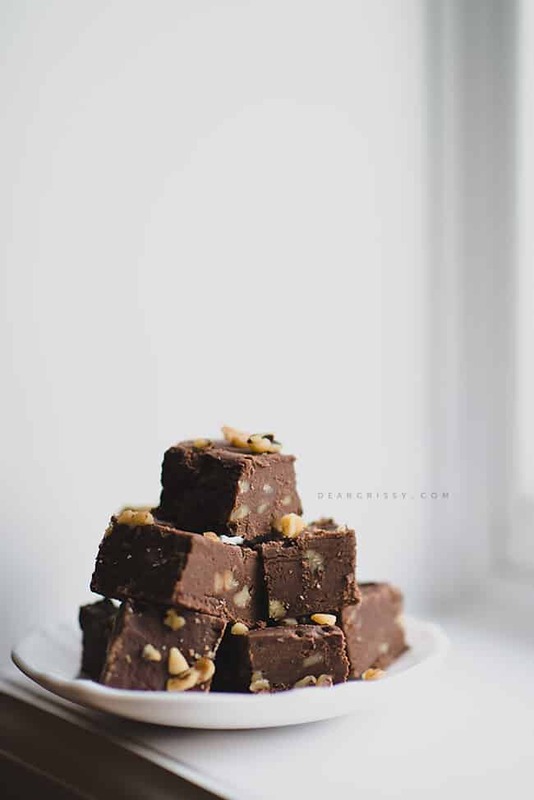 I know that I throw the word easy around a lot when talking about recipes, but trust me when I say that these chocolate walnut fudge bites are so simple they’re practically no-fail. 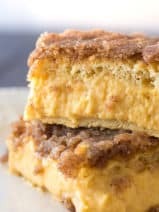 The recipe features BAKER’S White and Semi-Sweet Chocolate, and a crowd favorite in my home, JELL-O Chocolate Instant Pudding. I’m sure you’re wondering how this fudge tastes, right? Well, it’s rich, creamy, sweet and absolutely heavenly. 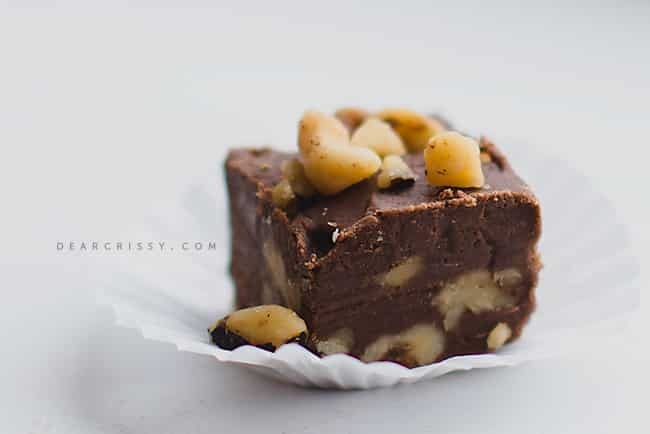 I love the texture that the walnuts add to the fudge bites and I think it makes them really pretty, too. 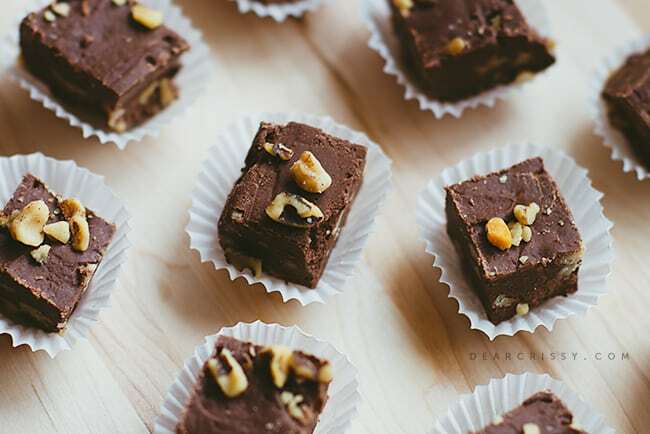 If you want to get back to basics with a yummy and simple recipe this holiday season, I can’t recommend these chocolate walnut fudge bites more highly. Give them a try and thank me later! 1. Line 8-inch square pan with foil, with ends of foil extending over sides. Microwave first 4 ingredients in large microwaveable bowl on HIGH 2 min. or until butter is melted; stir until chocolate is completely melted. 2. Add dry pudding mix; stir with whisk 2 min. Add powdered sugar, 1 cup at a time, stirring after each addition until blended. Stir in 1 cup chopped walnuts and press onto bottom of prepared pan. 3. 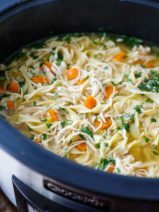 Refrigerate 2 hours or until firm. 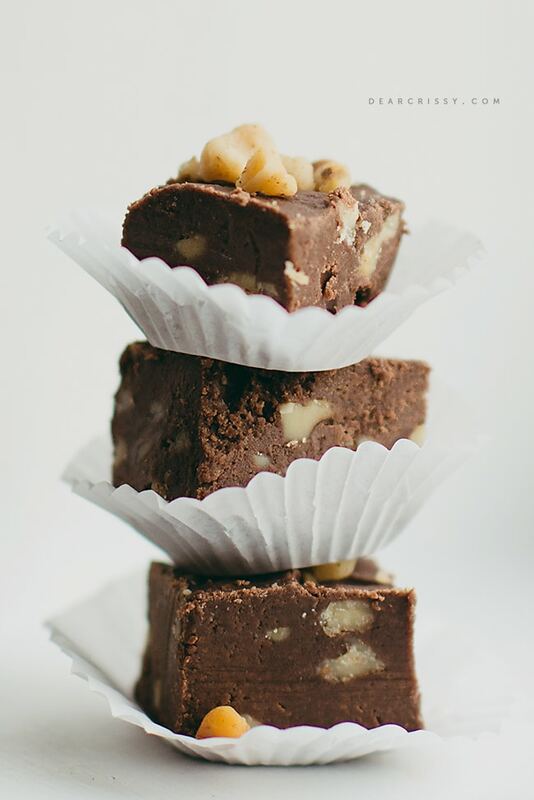 Use foil handles to lift fudge from pan before cutting into pieces. Just found your site!!! Looks great!!!!!!! !